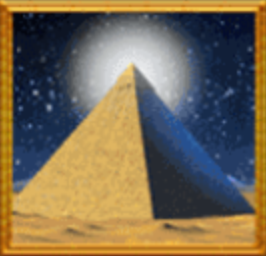 Pharaoh’s Secrets was originally a game for mobile devices only but it’s now available for desktop users as well. 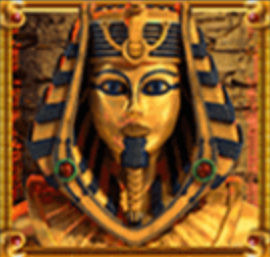 It’s an Egyptian-themed slot which includes Playtech’s Xtrawin feature so read the following review for all the essential information. 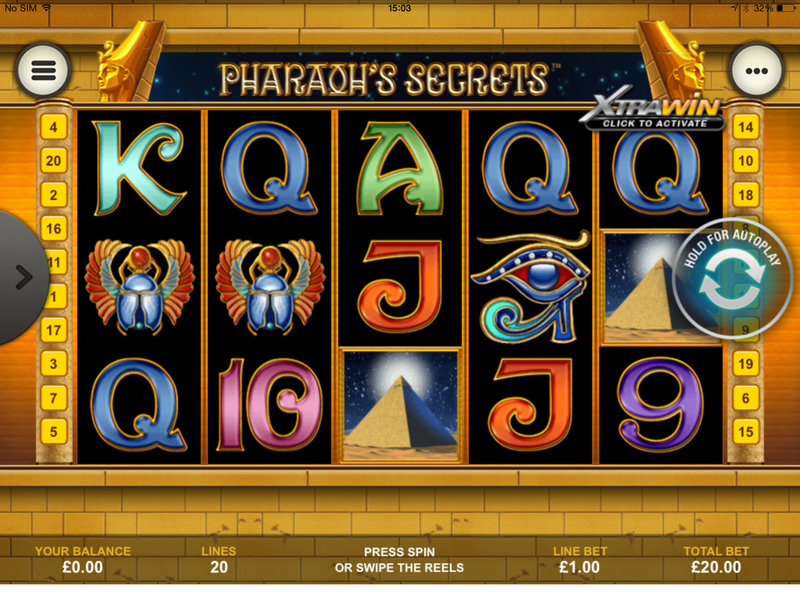 Pharaoh’s Secrets is a five reel slot with three rows and up to twenty paylines; the paylines and bet levels can be altered using the little arrow on the left hand side and you can see the paytable using the menu icon in the top left hand corner. There are four high value symbols – a tomb door, the Eye Of Ra, a scarab and the eagle/girl combo – while the 9, 10, J, Q K and A represent the lower values. The Pharaoh’s mask is wild and appears only on reels two, three and four; it doubles all wins to which it contributes in the base game and becomes an expanding wild in the bonus game. The scatter symbol is the pyramid which activates the main feature. Xtrawin is an optional extra which allows you to play with an expanding wild in the base game at an extra cost of 50% of your total stake. Additionally, Playtech says that it improves the game’s payout. 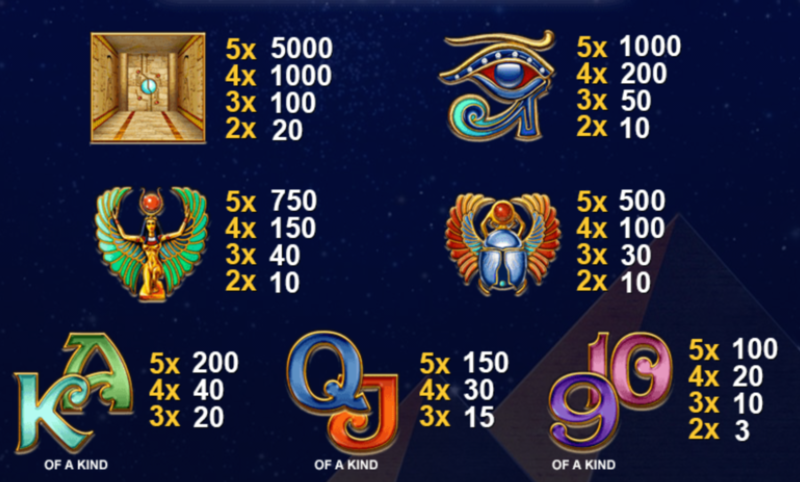 This is a free spins round and it’s triggered by landing three or more of the pyramid scatter symbols anywhere in view; you will now be asked to choose between the three symbols below and the number which appear on the special set of reels determines the number of free spins awarded. You will receive a minimum of five and a maximum of one hundred which is clearly not too shabby. This bonus can be re-triggered by landing more pyramids and don’t forget the expanding wilds during this round. If your bankroll can stretch to it, we would always recommend using the Xtrawin feature – it makes things a bit more action packed and the payout is ultimately greater. This is one of the better mobile slots we’ve played in terms of quality and entertainment; it offers some really big wins once those expanding wilds get going in the bonus game so check it out.